Posted on October 2, 2018 by Mike Sonnenberg Posted in Churches, upper peninsula	. On M-41 between Calumet and Copper Harbor stands the Church of the Assumption. It was in the heart of the mining town of Phoenix. The Phoenix Copper Mining Company created one of the first copper mines here, and the town was named after the company. The Church is maintained by the Keweenaw County Historical Society and open to the public. You can walk into the vestibule (I think that’s what its called) and see the inside of the church through a plexiglass wall. 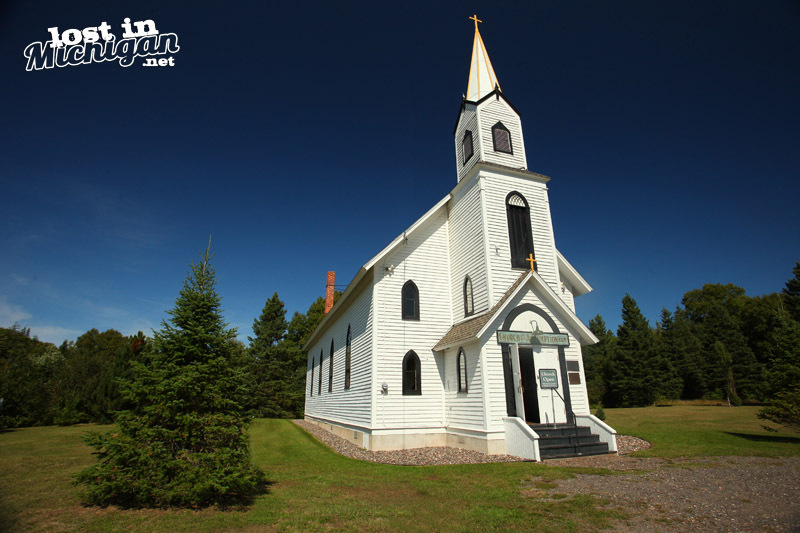 It’s a nice little stop while you are out exploring the Keweenaw and yes it still has an ornate altar and wooden pews.